At Pegasus Hotel Key West, you'll enjoy the comforts of home and the convenient services and amenities of a sophisticated Florida hotel. Energize your body and your mind in our Heated outdoor swimming pool and spa. Stay connected with free high speed Internet access with complimentary local telephone calls within the US and Canada. Offsite washer/dryer facilities and Key West downtown laundry service add convenience to extended stays. Traveling on business? Use our Lobby Computer to print, fax, and make copies at a nominal fee. Pegasus, Key West offers Guaranteed Parking in Down town just off Duval Street half a block from our front door entrance. We offer the use of our Deck which can accommodate up to 30 people. Price for 3 hours Is $1400.00. This includes one complimentary room..Your ceremony will be held by our poolside and use of our Tiki Bar(optional fee) is possible. Please feel free to contact us at reservations@pegasuskeywest.com. A Snack cafe where we succeed at introducing you to key west snack foods and flavors. 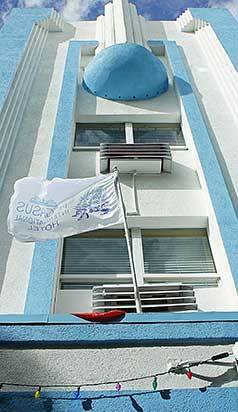 The Rooftop at Pegasus is located in the heart of Key West, poolside at Pegasus International Hotel. It is the ideal place to have a drink and Key West style seafood food for a great evening out. We have an excellent bar where you can just pop in for a drink and chat and if you are hungry you can try our unique menu. 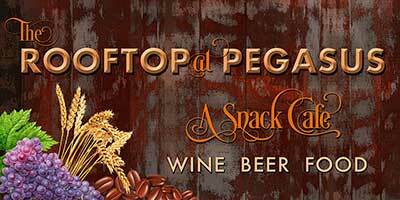 Rooftop at Pegasus is also available for private parties or business events. We also serve fish and chips and beer-battered fries and mozzarella sticks. Awaken your appetite with our bar snacks delight your taste buds with wine and beer like Islamorada local Beer or Domestic beers like Bud light or Corona Beer on lime. All while you relax in our lounge style bar under the Key West night sky.